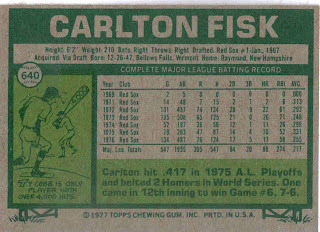 Carlton Fisk caught an incredible 152 games in 1977. Fisk started the 1977 All Star Game and went 0 for 2. 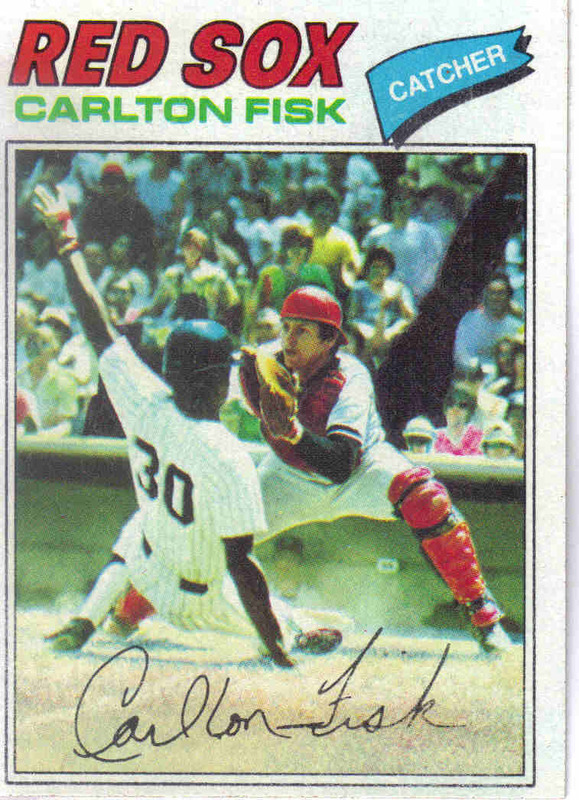 Carlton had one of his best offensive seasons of his long career in 1977. This is one of my favorite cards in the set. It's a great action shot. 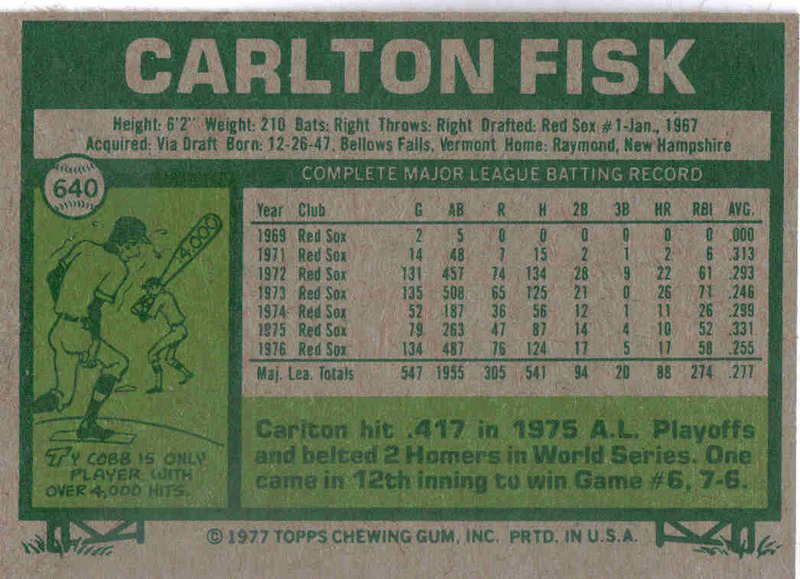 June 13 - Had three hits and singled in the winning run in the 10th inning of Boston's 5-4 win over the Chicago White Sox. June 22 - Hit two home runs and knocked in three runs as the Red Sox beat the Baltimore Orioles 7-4. July 7 - Hit a two-run home run and had a sacrifice fly to help the Red Sox beat the Toronto Blue Jays 5-2. This is also one of my favorite cards from the set. I'm pretty sure this play occurred on Sat 7/24/76. Willie Randolph scores on a bunt single by Mickey Rivers in the 2nd inning to make it 2-0 in a 4-1 Yankees win. Not sure if it was a squeeze play but it sure looks like it could have been.